1, 2, 3, 4 & 5 bedroom residences ranging in size from 1,500 to over 5,000 sq. ft.
Auberge Beach Residences and Spa is the newest luxury true Oceanfront Condominium on Fort Lauderdale Beach, Florida. Auberge Beach will consist of two towers, (north 17 story – south 20 story) contemporary glass buildings will feature 171 expansive residences on all with private elevator access. Auberge Beach Residences & Spa Fort Lauderdale is situated on 4.6 oceanfront acres that will front 450 feet of pristine sandy beaches on the Atlantic Ocean and affords each residence spectacular and unobstructed ocean views. The innovative minds at the award-winning and internationally recognized design firm of Meyer Davis Design Studio have joined forces with Nichols Brosch Wurst Wolfe & Associates, the celebrated architectural firm renowned for their ground breaking projects, to create the distinctive surroundings that will forever redefine ultra-luxury. Two striking (north 17 story – south 20 story) towers with floor to ceiling glass allows spectacular views from every room of the flow-through floor plans and feature generous sunrise and sunset terraces to enjoy South Florida’s oceanfront breezes. With only 171 residences, each with its own private elevators, Public space amenities are featured on the ground level immediately above a below grade parking garage. An elegant two-story lobby opens to an ocean front pool deck, spa and cabanas. Residences begin on the 2nd level featuring fine views from even the lowest floor units. Wrap around” two-level penthouses crown the top of each building. Ideally located in the North End of Fort Lauderdale Beach, Florida at 2200 North Ocean Boulevard, the property is minutes away from all that Ft. Lauderdale and Miami and have to offer, with some of the area’s premier destinations within minutes from the site. From world-class dining and shopping at the Galleria Shops and Las Olas Boulevard, to museums, theaters, Fort Lauderdale/Hollywood International Airport, Port Everglades and the idyllic beachfront site also offers proximity to exciting city life. Auberge Beach Residences & Spa Fort Lauderdale will deliver on its promise of privacy and exclusivity for the privileged few who will call it home. Residences Interior Living Area Exterior Living Area Price Ranges Interior $/ft. Two Beds 1,800-2,262 sq. ft. 270-1,387 sq. ft. $1,700,000-$3.1M $860-$1,370/ft. Three Beds 2,133-3,732 sq. ft. 433-3,898 sq. ft. $1,820,900-$4 Million $853-$1,380/ft. Four Beds 3,422-3,591 sq. ft. 1,002-1,811 sq. ft. $2.7-$4.5 Million $800-1,200/ft. Monthly Maintenance: $1.00 psf based on living sq. ft.
Pre-construction prices range from the $1,700,000 to $9.9 million. Call me now 305-494-1767 for first tier pricing, availability and floor plans and Reserve your Oceanfront Condo unit at Auberge Beach Residence & Spa Ft. Lauderdale today! To reserve your "Auberge Beach Residences Fort Lauderdale" unit Call or Contact Us or simply fill out your information below and be notified of up to the minute availability, preconstruction pricing, and information on how to reserve your "Auberge Beach Residences Fort Lauderdale" unit today. Preconstruction Auberge Beach Residences located Directly on the Sand. Oceanfront Auberge Beach Residences 2200 North Ocean Boulevard Fort Lauderdale Fl. 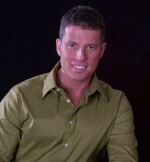 CALL 305.494.1767 Steve Samuels is known as one of the premier real estate brokers in the South Florida market. His negotiation skills, market knowledge and no-nonsense, results-driven approach has made him one of the most sought after luxury condominium and single family waterfront realtors from Miami to Palm Beach County. CondosandCondos.com is one of the Leading Miami Real Estate websites where you can find Condos for Sale. Search for Luxury Condos in Miami, Miami Beach, South Beach, Sunny Isles,Hallandale, Key Biscayne, Bal Harbour, Fisher Island, Coral Gables, and all of South Florida.